Shipping available to 39 states. 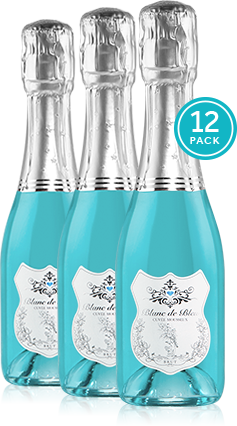 Blanc de Bleu® is a premium California sparkling wine with an added hint of blueberries. Delicate, dry and crisp, it is the perfect accompaniment for all of your memorable moments. Vividly pasteled, Blanc de Bleu offers seductive flavors and fresh aromatic effervescence showcased in a bottle that dazzles the imagination. Due to varying state laws beyond our control, we unfortunately cannot ship wine to the following states: AL, AR, DE, IN, KY, LA, MS, NJ, OH, OK, RI, UT. 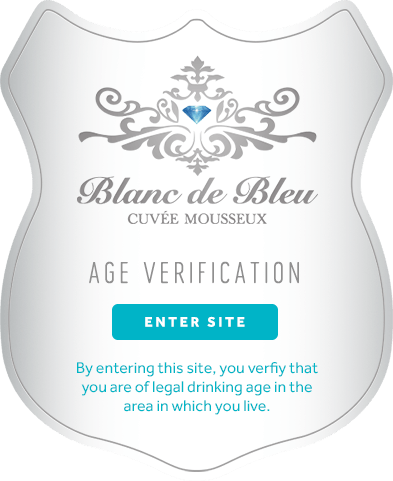 Please use our Store Finder to locate Blanc de Bleu at a store near you.